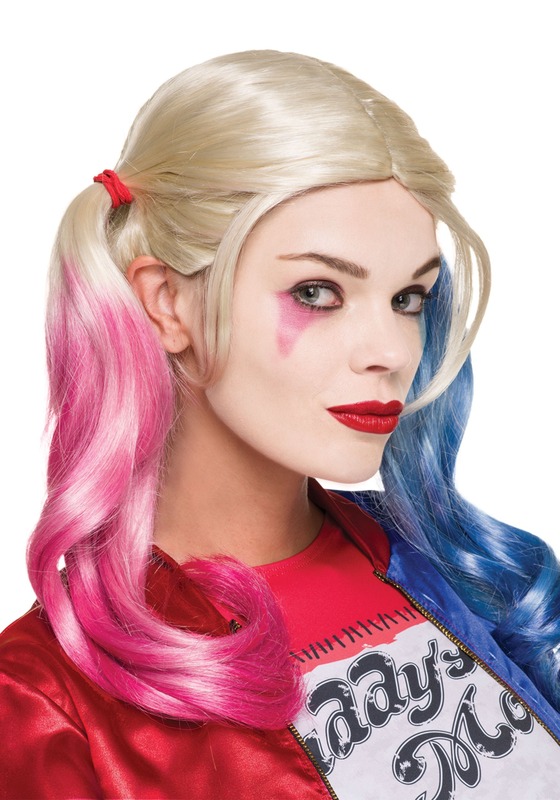 Harley Quinn makes being bad look so good. One would think that it's one of her super powers, but she doesn't have any powers except for being incredibly dangerous. She's also incredibly gorgeous, you know, in a psychotic ex-girlfriend sort of way. We're not sure if it's her contagious cackle or bizarre outlook on life, but something about her is captivating in a way that we just can't describe. This makeup kit will help you create the Clown Princess's beauty that everyone finds so indescribable. The face makeup will give you her signature pale complexion and classic bright red lips. Last but not least, the blue and red triangles drawn underneath your eyes will transform you into DC's craziest female supervillain and the Suicide Squad's most deranged leading lady!